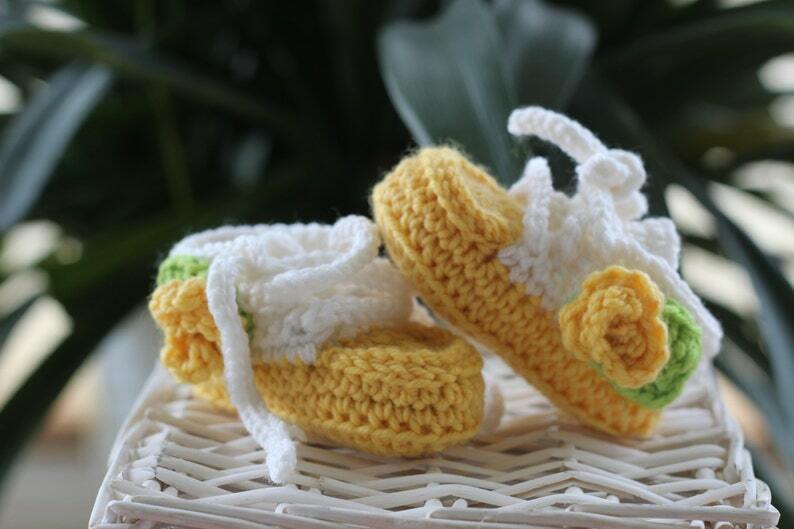 Adorable crochet yellow baby booties with amazing flower! These baby girl sneakers is a perfect baby shower gift! Super soft baby shoes for those who we love the most. Can be first baby outfit. I used yarn - 100% merino wool, which is not allergic to a baby. Perfect baby shower gift, photo shooting gift, birthday gift. With this merino wool baby booties your baby girl will be the most beautiful in the world! Merino wool baby booties please wash in cool or warm water & laid flat to dry.